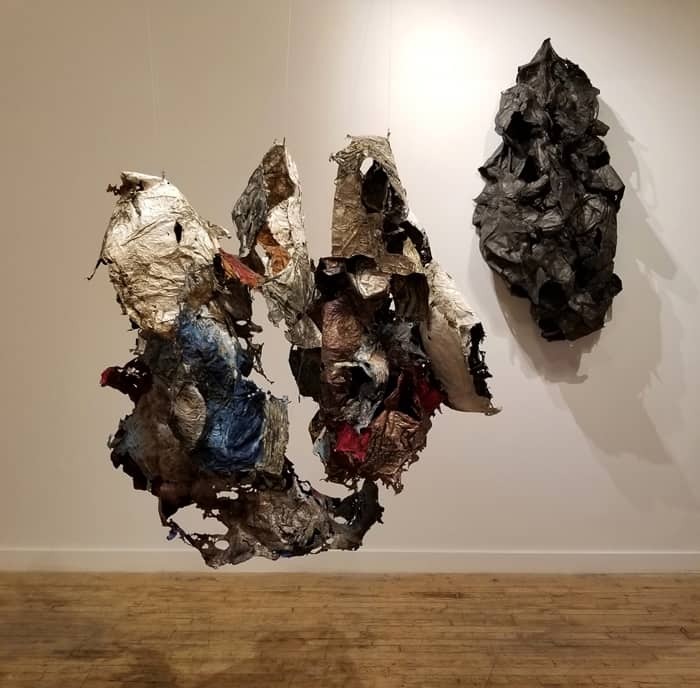 Deep in the heart of Bushwick, Michael David’s residencies offer an intense experience that may take your art to new levels. David, who was the subject of a podcast interview on the site in the summer of 2017, has a long and formidable career as a pioneer in encaustic and an enterprising dealer. The Michael David Residencies grow out of an experiment known as the Fine Arts Atelier, which David launched in Atlanta, GA, in 2011. 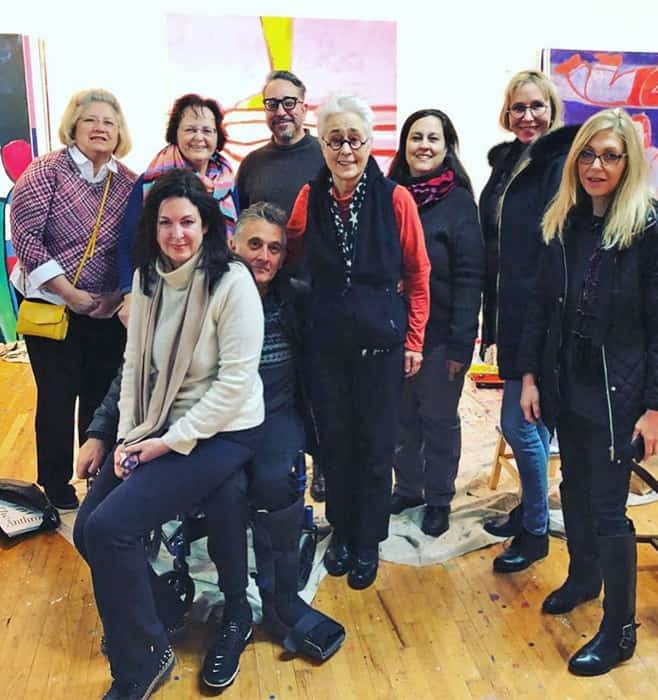 Described as a “painting hothouse,” the project evolved over three years from straightforward workshops to a more immersive experience for the participants, who were predominantly women in their 40s through 60s. Now David is working with smaller groups who share a large open studio on Bogart Street along with the sorts of swapping of experience and concepts that’s bound to happen when artists work side by side, day after day. For ten days, “there’s a tremendous sharing about life and art and work,” he says. 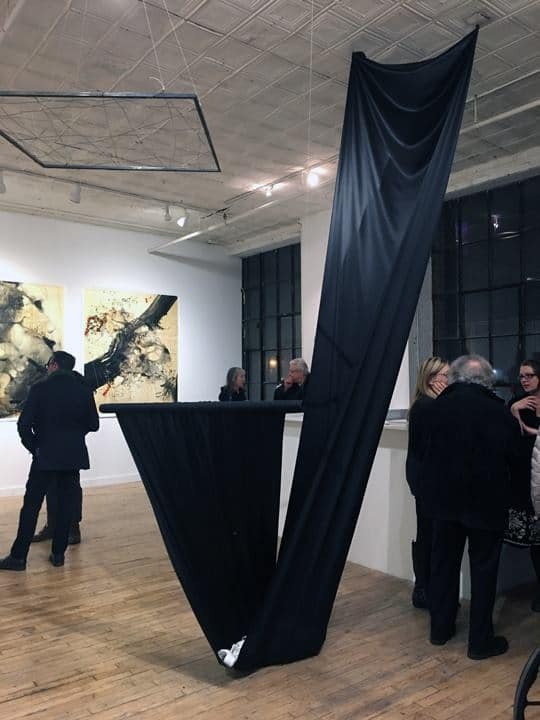 Exhibition opening with works by Louise Noel (foreground) and Christopher Rico (back wall). Photo by Denise Sfraga. 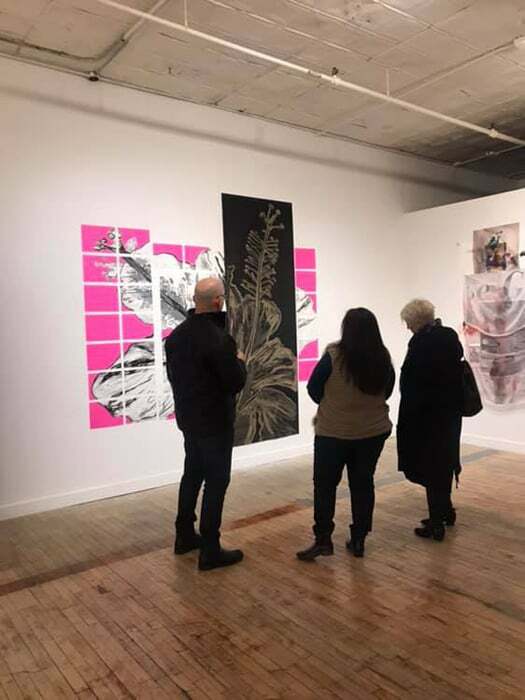 Aside from the intense studio time for the “Hurt” residency (Rico says he was spending 10 to 12 hours a day in the studio), there were plenty of opportunities to explore New York during Art Fair week—when the Armory Show, Art on Paper, the Art Show, and other satellite exhibitions are in full swing. 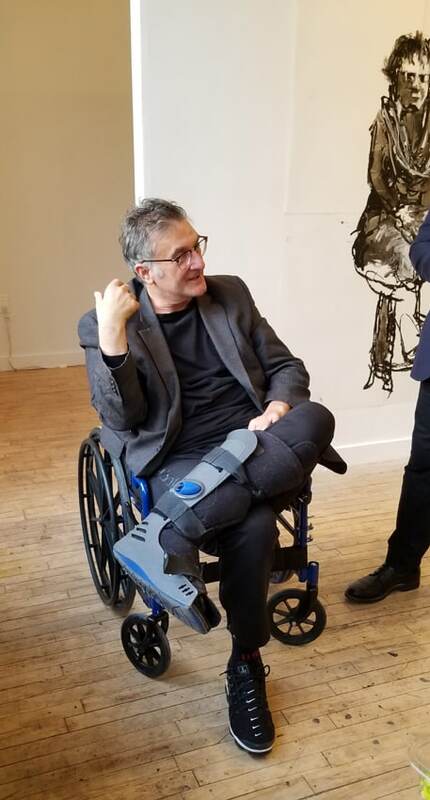 There are also visits from critics, such as Paul d’Agostino, who makes at least one appearance, and David is hoping to pull in other critics in the future. 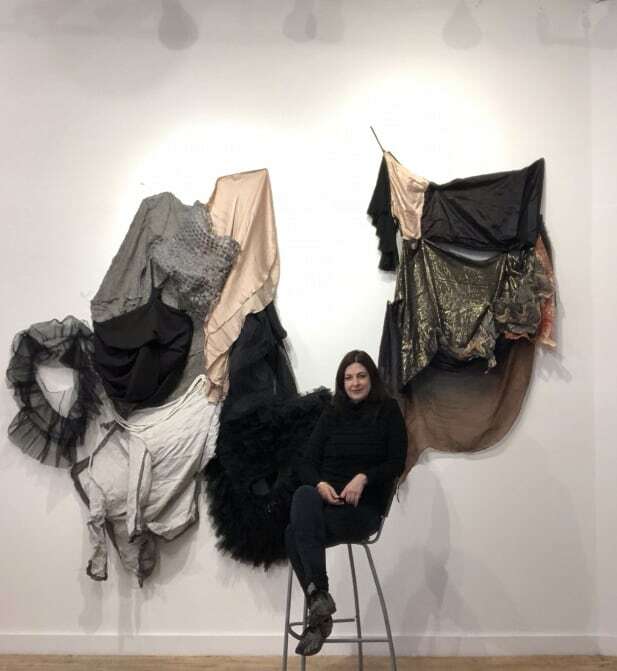 In the past, the group has also traveled to Dia Beacon in upstate New York and for the summer residency there will be trips to Mass MoCA in North Adams, MA. Artists also “sit down and have dinner together and talk about our lives and career paths,” says David. The fee for the upcoming summer residency (July 14-28) is $2950, but “there is some flexibility on price on a case-by-case basis, and we are starting a scholarship program next year,” David says. There is no fixed abode for all the residents, but participants find lodging with friends, family, and at Airbnb sites throughout the city (there are many in Bushwick). Those accepted for the residency are expected to bring their own supplies and hanging systems (tables, chairs, and some tools are on hand). A full packet of info with details about submission, pricing and timeline are available by writing to Leibowitz at bonny@bonnyleibowitz.com. The deadline for applications is May 25. 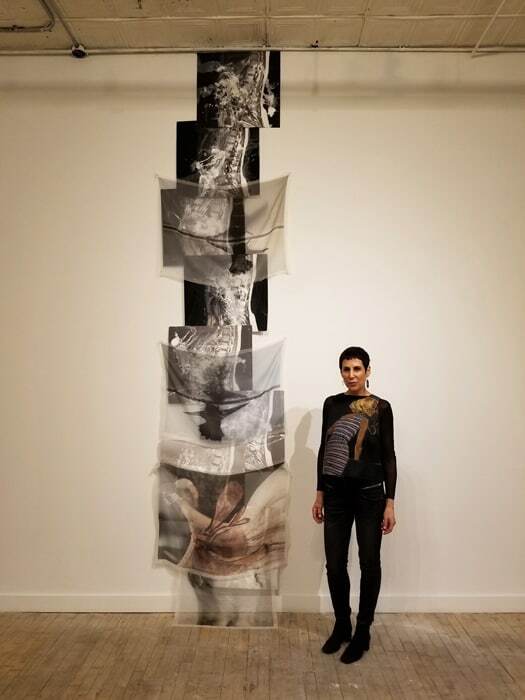 Thanks for sharing about what we’ve been up to during the residencies with Michael. It’s time, with feedback, in the studio to try new ideas, with a deadline. I’ve loved it. Thanks for the wonderful article on the Michael David residency program. I’ve been following the artist’s progress on social media and have been impressed by how their work has grown. Looks like an enriching experience in many ways. Ann, thank you for covering a extraordinary experience. 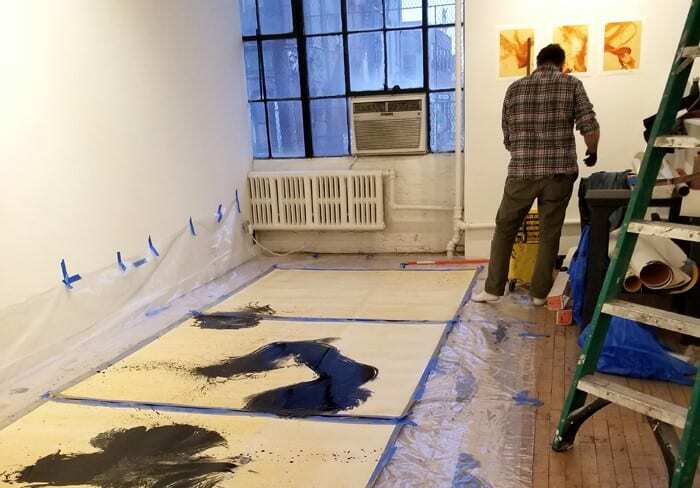 Making work in NYC brings a different aspect to the studio practice.